Thank you to everyone who submitted entries for the Custom Western Belt Buckle Making a Difference Challenge! We received a lot of nominations for truly exceptional people working hard to make a positive difference. PLEASE CHECK BACK AGAIN FOR OUR NEXT CUT ABOVE CHALLENGE!! Tell us about someone you know who is ‘A Cut Above’ in making a positive difference in the world: nominate them to win a free customized buckle, specially handcrafted for our Make a Difference Challenge Winner. 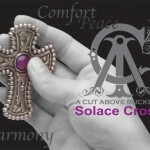 At A Cut Above Buckles, the phrase ‘A Cut Above’ stands for more than just our name. We think it’s a way of life- to do more, go farther, last longer, and be a little bit better every day. The Winner of the Make a Difference Challenge will be someone who goes far above and beyond to help others, overcome obstacles, and work hard to make a positive change in the lives of others, his/her community, or even on a larger scale. ENTRIES MUST BE MADE BY SOMEONE OTHER THAN THE NOMINEE. *No purchase or payment of any kind is necessary to enter or win. 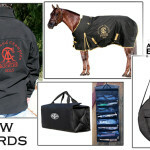 ADDITIONAL RULES AND REGULATIONS: The A Cut Above Buckles Make a Difference Challenge (referred to hereafter as “Contest”) is administered and sponsored by A Cut Above Buckles Inc. The Contest is in no way sponsored, endorsed or administered by, or associated with, Facebook. The individual submitting an entry, as well as their associated nominee, (both inclusively referred to hereafter as “participants”) are providing information to A Cut Above Buckles Inc. and not to Facebook. Participants acknowledge and consent that they may receive occasional communications solely from A Cut Above Buckles regarding products or special offers offered only by A Cut Above Buckles Inc., and may permanently unsubscribe at any time to such communications unconditionally. The Contest is open to legal residents of the United States and territories where not prohibited by law, with no age restrictions where not prohibited by law, who have Internet access and a valid e-mail account prior to the beginning of the Contest Period. A Cut Above Buckles Inc. has the right to verify the eligibility of each entrant. Entries will be accepted beginning April 3, 2012 and end on May 2, 2013. A Cut Above Buckles Inc. reserves the right to extend or shorten the contest at their sole discretion and has the right to adjust or shut down the contest at any time and investigate possible cheating or tampering before determining a winner. By participating, each participant is granting A Cut Above Buckles Inc. permission to use his/her name, contest entry, likeness, photo, or comments for publicity purposes without payment of additional consideration, except where prohibited by law. The custom buckle awarded will be designed in accordance with whichever A Cut Above Buckles existing Buckle design the winner desires, or newly created design requested by the winner, up to a $250 retail value. 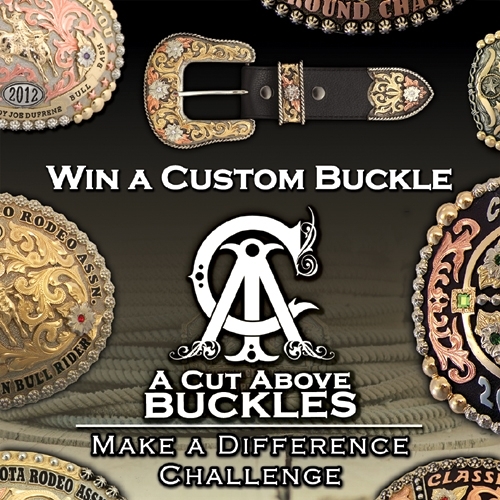 WINNER SELECTION: The A Cut Above Buckles Make a Difference Challenge Winner will be determined at the discretion of A Cut Above Buckles and Staff in accordance with the criteria presented above. The winner or individual submitting the entry may not be associated with or have a personal relationship with A Cut Above Buckles and/or any of its’ staff. Any winner accepting a prize agrees to submit a clear photo of the winner with his/her prize. Each entrant is responsible for monitoring his/her e-mail account for winner notification and prize receipt or other communications related to this contest. If a potential winner cannot be reached by A Cut Above Buckles Inc. within five (5) days, using the contact information provided at the time of entry, or if the winner chooses in writing not to receive the stated prize, that potential prize winner shall forfeit the prize. Upon the request of A Cut Above Buckles Inc., the potential winner may be required to return an Affidavit of Eligibility, Release and Prize Acceptance Form and IRS W-9 form. If a potential winner fails to comply with these official rules, that potential winner will be disqualified. Prizes may not be awarded if an insufficient number of eligible entries are received. prizes is permitted. A Cut Above Buckles Inc. and its respective agents and representatives are not responsible for any typographical or other errors in the offer or administration of the Sweepstakes, including, but not limited to, errors in any printing or posting or these additional rules, the selection and announcement of any winner, or the distribution of any prize. A Cut Above Buckles Inc. and its agents, and representatives, and any telephone network or service providers, are not responsible for incorrect or inaccurate transcription of entry information, or for any human error, technical malfunction, lost or delayed data transmission, omission, interruption, deletion, line failure or malfunction of any telephone network, computer equipment or software, the inability to access any website or online service or any other error, human or otherwise. INDEMNIFICATION AND LIMITATION OF LIABILITY: By entering the contest, each participant agrees to indemnify, release and hold harmless A Cut Above Buckles Inc. and the facebook platform, administrator, advertising and promotional agencies, and all their respective officers, directors, employees, representatives and agents from any liability, damages, losses or injury resulting in whole or in part, directly or indirectly, from that participant’s participation in the contest and the acceptance, use or misuse of any prize that may be won. A Cut Above Buckles Inc. do not make any warranties, express or implied, as to the condition, fitness or merchantability of the prize, excluding the A Cut Above Buckles quality guarantee for life on all handmade buckles, including the prize awarded herein. A Cut Above Buckles Inc. and its advertising and promotional agencies, and all their respective officers, directors, employees, representatives and agents disclaim any liability for damage to any computer system resulting from access to or the download of information or materials connected with the contest. By participating in this contest, any entrants and participants are agreeing to abide by all of the contest rules and regulations stated on this page.